Forcing an iPhone X to restart needs to press two buttons quickly and then press and hold a third button. Step 2. Press and release the volume down button. Step 3. Press and hold the side button (power button) until the screen turns off and then turns back on. 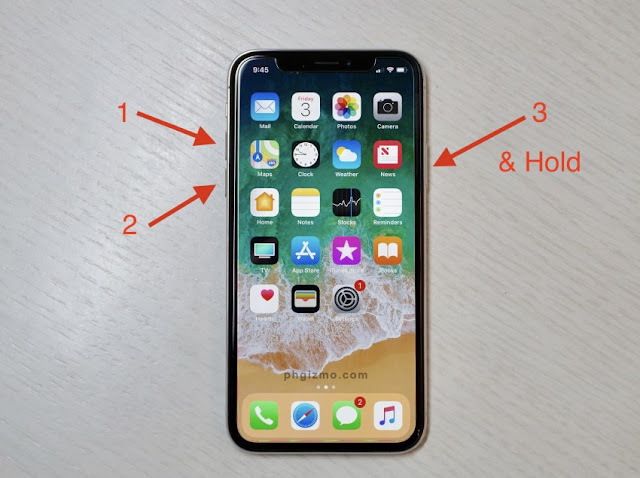 After a few seconds of holding the side button, the iPhone X should restart. Step 4. Release the side button when the Apple logo appears.